A space colony must have a closed water cycle. Any place short of living beside a freshwater ocean will see extraction costs of new water too high compared to recycling the existing inventory. 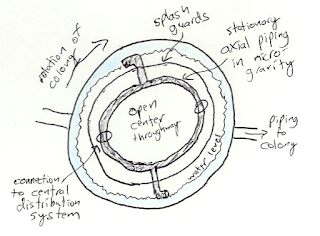 For a gravity balloon with multiple independently rotating tubes floating inside, however, it makes little sense to constrain that closed cycle to the same tube where the water is consumed. This is because the economy of scales are overpowering. Reprocessing water from 1 billion people is a very different challenge (and actually quite doable on a per-capita basis) than doing the same thing for a small municipality of 20,000 people. So let's take a peek into this strange engineering problem, and the tremendous surprises that it holds for us. Economically, pipelines are good. Any place that can avoid trucking in water does so. Consider that we could transport water in batch processes. This could be done in vehicles existing in zero-gravity, and vehicles specialized to making the same trip in repetition. So it's not that we can't, but we would still prefer not to. On the other hand, there is a certain critical resource in a tube that we want to avoid tying up - the center axial space. Virtually every transport necessity is competing for that same space. This makes the final solution seem obvious. Fascinatingly, it's the liquid phase of water (versus air) that makes it possible to satisfy all these stipulations without requiring any insanely speculative technology. Water can maintain a level inside a gravitational field, and this is the obvious property to exploit. After thinking through the basics, here is my mockup. I actually got the rotation direction wrong. 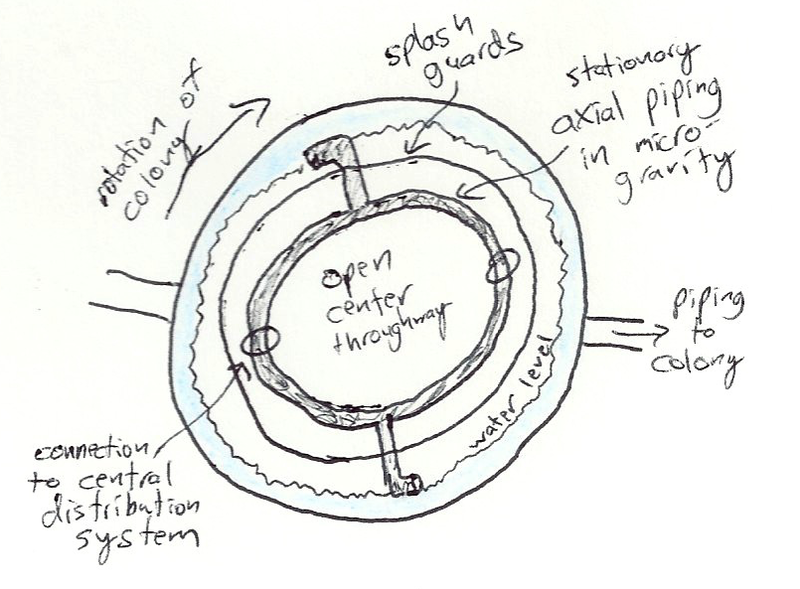 This diagram would actually apply for scooping up sewage (closed system, right? 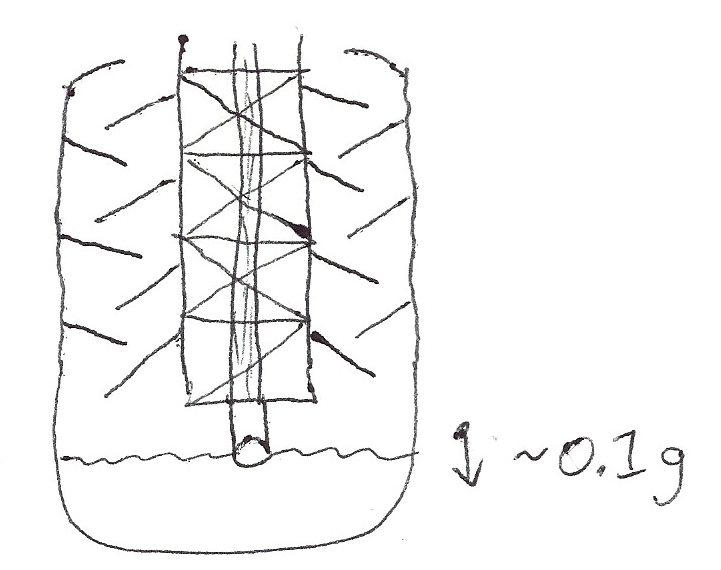 ), and for pumping in fresh water, the tube exit should point in the direction opposite of the rotation. We have maintained 2 frames of reference. One is stationary (non-rotating), and the other is the rotating colony. 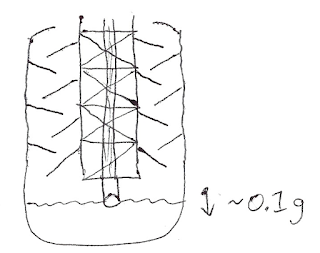 The water level exists within a very low artificial gravity field. For the purposes of argument, I imagine this to be 1/10th Earth gravity, the same as on the inner surface of the tube. This raises another objection - that the low gravity makes the water prone to splash out. This is why I anticipate some amount of buffer room above the water level so that it can eventually fall back down. This exists in the rotating reference frame as well. We can do even better - overlapping sheets (not even touching) can capture water trying to get out and allow it to slowly drip back down. With this, the lower gravity level should not present much problem. One could continue with more granular problems to solve. You may need some special couplings in order to keep them aligned nicely even when the entire station has some change in movement. Additionally, you would need some way to put it together in the first place and a way to separate the splash guards and allow temporary disconnection. A spin-down, spin-up process is expensive. I found this solution to be surprising, and downright delightful. I think it's a reasonably robust design to maintain a continuous service. The ability to have such a thing is critical to provide economic benefits of a space mega-city, and it makes it feel more human, in a way. Some people want to live off-world, but still like taking showers.